We're off to Maine! My husband and I are taking the twins and driving to Maine tomorrow to celebrate the New Year. We'll be staying at the lovely Harraseeket Inn in Freeport...virtually across the street from L.L. Bean. While we do hope to do a little bit of shopping, the real reason for the trip is to support our oldest daughter's basketball team as they compete in a tournament at Bowdoin College in Brunswick. We'll ring in the New Year with a Maine lobster dinner and champagne, then head for home on New Years Day. I'll have some reading resolutions for 2009 when I return. Happy New Year to all! 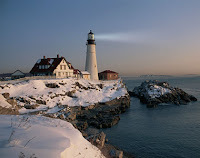 The beautiful winter lighthouse photo is from concierge.com. For my wrap-up of 2008 reading, I'll borrow this meme from Simon at Stuck In A Book . It covers just about everything! Overall, 2008 was not a very productive reading year. -How many books read in 2008? I only read 30 books this year - less than any year since I started keeping track (1998)! There are several factors I'll attribute this to. Primarily, this year has required every ounce of my energy for parenting. The physical demands are low for teenagers, but the emotional needs seem to skyrocket. My oldest daughter graduated from high school this year - meaning we spend lots of time on college visits/applications, senior year activities, graduation parties galore, getting ready for college, being supportive as she adjusted to college and, finally, adjusting to life without daughter#1's daily presence. One of the twins has transferred from the public high school to a private prep school, also requiring lots of extra time and effort in the parental support/understanding department, while the other twin learned how to navigate the high school without her sisters. As a result of all this, my reading choices tended to be somewhat lighter than usual this year. There were 23 fiction and 7 non-fiction books. This works out to be 23% non-fiction... a bit higher than usual for me. I read 10 male and 20 female authors this year. However, judging from my list of favorites, I should read more male authors. There were several books that I simply tossed aside this year, but my least favorite book that I finished was La Cucina by Lily Prior. It was a light, fluffy book read for a book club when I really wasn't in the mood for a beach read. I probably would have enjoyed this much more had I actually been on a beach! addendum 1/4/09: My least favorite book of the year was actually The Friday Night Knitting Club by Kate Jacobs...a beach book that I did read on the beach. The Painted Veil, published in 1925, is the newest 'oldest book' I've ever read! I've always had several titles from the 18th or 19th centuries. No ARC's this year, but plenty of books published in 2008. The Guernsey Literary and Potato Peel Pie Society ...I suspect this will be listed by many book bloggers in this spot! -Most books read by one author this year? The answer here is two, provided I can count John Banville (The Sea) and his alter-ego Benjamin Black (The Silver Swan) as the same person. I also read two books by Muriel Spark - The Prime Of Miss Jean Brodie and Memento Mori. Just one this year, Deafening by Frances Itani. This number is also way down from last year when I read 7 books in translation. -And how many of this year's books were from the library? Nine books came from the library, but then I ended up buying my own copy of two. Thanks for this meme, Simon. It's given me a chance to reflect on what I've read in 2008 and helped me formulate some plans and goals for 2009. My family rarely buys me books. Gift cards, yes...but not books. However, since Christmas morning doesn't seem complete without new books to peruse, I did offer a suggestion or two. On Christmas morning, I found Wally Lamb's new book, The Hour I First Believed and The Home-Maker by Dorothy Canfield Fisher under the tree. There was also a journal and a small book of wildflowers bookmarks. Wally Lamb is a master storyteller. Both She's Come Undone and I Know This Much Is True kept me reading into the early morning hours and, judging from the first chapter, his latest book will do the same. The Home-Maker looked interesting when I read about it in the Persephone catalog and it's also gotten positive reviews from some book bloggers. The journal will be used for reading notes. I've decided to be more organized when it comes to jotting down thoughts and quotes as I am reading. The bookmarks are lovely and I can never have too many of them. After buying so many books as holiday gifts, I was very happy to receive some myself! Have you noticed all the blogs sporting this "I'm Buying Books for the Holidays" button? 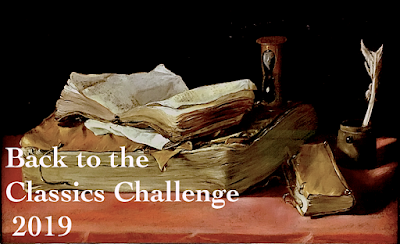 There's been a book bloggers movement afoot to promote giving books this holiday season and I, for one, have done my part. My husband is easy to buy for...history and finance. This year's choices were Panic: The Story of Modern Financial Insanity by Michael Lewis and Doris Kearns Goodwin's Team of Rivals: The political Genius of Abraham Lincoln. My oldest daughter, like her Mom, loves Jane Austen! She will receive The Annotated Pride and Prejudice and, on the recommendation of Ex Libris, Lydia Bennet's Story: A Sequel to Pride and Prejudice by Jane Odiwe. Since she is interested in majoring in writing/rhetoric, I couldn't pass up Grammar Girl's Quick and Dirty Tips for Better Writing. After I'd purchased these, she decided to ask for Clinton Kelly's Freakin' Fabulous. So...one more book bought for the holidays. One of the twins, 15, is a big fan of the Twilight series. She has hardcover editions of all the books except the first, so Santa will complete her set. Both twins, and out-of-state nieces and nephew, will receive Barnes & Noble gift cards. Finally, everybody will receive a page-a-day calendar: Dilbert for my husband, sports inspiration/motivation quote of the day for daughter #1, SAT prep question a day for twin A (she actually requested this! ), and French phrase of the day for twin B. I also purchased a couple of gift mugs, a calligraphy set, a lapdesk, and various stocking stuffers. The economy, or at least Barnes & Noble, should be safe for another year! Where has the week gone? Is is really Saturday? Ideas for various post topics or photos have been swirling around in my head, but nothing has made it to the page. I'll chalk it up to the busy holiday season and resolve to do better in the new year. A daily Christmas-y photo: wrapping gifts, baking, decorations, etc. This plan was thwarted by the sudden demise of my camera. Santa will hopefully rectify the situation and, in the meantime, I hope to use my daughter's camera today when we hunt for our 'perfect tree'. My book group met this week. There was near-record attendance for our Christmas Tea. We discussed Rebecca by Daphne DuMaurier and planned our January and February meetings. You may have noticed that Anthony Trollope's The Way We Live Now has become a permanent fixture in my currently reading box. Initially this was to be read with an on-line group, but I failed to keep up with their schedule as several other shorter books captured my attention. I've had only limited success with reading multiple books simultaneously (although I continue to try), so I really want to focus on Trollope for the next week or so. My oldest daughter completed her first semester of college. I picked her up Thursday evening, so we were home before yesterday's storm hit. Her teammates were not as fortunate. Most had finals scheduled for Friday morning and since all travel ceased yesterday, they are heading home today instead. Twin A and I attended An Evening With David Sedaris last week. I figured I'd better just mention it here because, at this rate, it may not get a proper post at all. She enjoyed Me Talk Pretty One Day when she read it this fall for a creative writing class and I thought I'd surprise her with tickets. I listened to Dress Your Family In Corduroy and Denim, so I'd be prepared for the evening, too. We had an excellent time, but the surprise turned out to be that the evening coincided with the beginning of the monster ice storm that unloaded on the northeast. There will be at least one more proper post as I wrap up the year's reading...and hopefully some shorter holiday posts, too. I'll bet very few readers can say yes to this. If I could add an extra hour to the day, it would be at bedtime. Then I could read more and still get enough sleep! 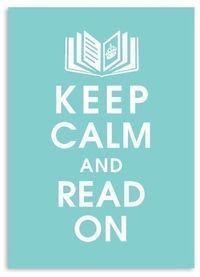 I would read a mix of contemporary fiction, nonfiction, and classics. It would be nice to get to the current 'buzz' books while everyone is still talking about them. 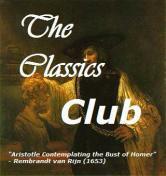 Classics rarely disappoint and, this year, I've also enjoyed adding more nonfiction to the mix. Finally, I would tackle my pile New Yorker magazines. Miss Pettigrew Lives For A Day by Winifred Watson is an absolutely delightful book! An adult fairy tale written in 1938, it was reissued by Persephone earlier this year. Guinevere Pettigrew is a plain, middle-aged governess who doesn't like children very much and is a bit down on her luck. She is mistakenly sent on a job interview to the apartment of glamorous nightclub singer Miss Delysia LaFosse. Miss Pettigrew is immediately taken up in the drama that is Miss LaFosse's love live and, in the course of one day, manages to find some happiness of her own. This was a quick, easy, feel-good book that is perfect for a brief escape from the stress and pressure that often increase during the holiday season. Miss Pettigrew was also my introduction to Persephone Books , a company that reprints "forgotten classics by twentieth-century (mostly women) writers". Their beautiful editions have dove-grey covers with endpaper and bookmarks in the pattern of historical fabrics. The catalog I requested arrived a few days ago and provided an enjoyable evening of reading in itself. Several more Persephone titles have been added to my tbr list! Sunday's arctic wind blowing off Lake Ontario and Monday's single digit temperatures with subzero wind chill left our small lake covered with ice. The sun was so brilliant yesterday afternoon that I just had to take a picture. The ice will be gone later today as the temperature climbs to near forty. 1. Snow in bare tree branches is beautiful! 2. I'm looking forward to a New Years trip to Maine for daughter #1's basketball tournament . 3. Christmas is the best holiday ever! 4. One of my favorite old tv shows is The Brady Bunch...funny how all those family crisis could get resolved in a half hour. 5. I'm done with minivans...with just two kids left at home, my next vehicle can be something that's more fun. 6. The most enjoyable thing around the holidays is catching up with old friends. I actually love reading all those holiday letters. 7. And as for the weekend, tonight I'm looking forward to the Christmas Walk in our village, tomorrow my plans include taking the girls for manicures (it's the winter semi-formal) and decorating the house for the holidays and Sunday, I want to read and bake! This meme has been around for some time. Thanks to Les, I've decided to play. Open the closest book to you, not your favorite or most intellectual book, but the book closest to you at the moment, to page 56. Write out the fifth sentence, as well as two to five sentences following there. Pass this on to five blogging friends. Even though YA novels are far from my usual reading fare, Bellezza's post convinced me to pick up Twilight by Stephanie Meyer. This came as quite a shock to my three teenage daughters. News travels fast at the high school, and it's apparently become a hot topic of conversation that "even moms" are reading the series. My college freshman just rolls her eyes and says I shouldn't be wasting my time, but I'm enjoying this change of pace. to collide with me again. For years, Jane Austen has been my automatic response to this question. Jane is still number one, especially after visiting Jane Austen sights in and around Bath last summer. John Steinbeck is also high on my list, and there are so many other contemporary authors that I hesitate to mention just one or two more. I've read all of Jane Austen's novels except Emma, but that will change in 2009. I'm slowly working my way through a collection of her letters that I purchased at the Jane Austen Centre. Claire Tomalin's Jane Austen: A Life is also on the bedside table. What's not to like? Pride and Prejudice is my all-time favorite novel. I can't think of one right now. I really want to like Gabriel Garcia Marquez. I've read Love in the Time of Cholera and have started One Hundred Years of Solitude several times, but I just don't 'get' magic realsim.